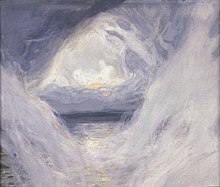 That night Philemon stood beside me and the dead drew near and lined the walls and cried out,”We want to know about God. “God is not dead. He is as alive as ever. God is creation, for he is something definite, and therefore differentiated from the Pleroma. God is a quality of the Pleroma, and everything I have said about creation also applies to him. “But he is distinct from creation in that he is much more indefinite and indeterminable. He is less differentiated than creation, since the ground of his essence is effective fullness. Only insofar as he is definite and differentiated is he creation, and as such he is the manifestation of the effective fullness of the Pleroma. “Everything that we do not differentiate falls into the Pleroma and is cancelled out by its opposite. If, therefore, we do not differentiate God, effective fullness is canceled out for us. “Moreover, God is the Pleroma itself, just as each smallest point in the created and uncreated is the Pleroma itself. “Effective emptiness is the essence of the devil. God and devil are the first manifestations of nothingness, which we call the Pleroma. It makes no difference whether the Pleroma exists or not, since it cancels itself out completely. Not so creation. Insofar as God and the devil are created beings, they do not cancel each other out, but stand one against the other as effective opposites. We need no proof of their existence. It is enough that we have to keep speaking about them. Even if both were not, creation would forever distinguish them anew out of the Pleroma on account of their distinct essences. “Everything that differentiation takes out of the Pleroma is a pair of opposites, therefore the devil always belongs to God. “This inseparability is most intimate and, as you know from experience, as indissoluble in your life as the Pleroma itself since both stand very close to the Pleroma in which all opposites are canceled out and united. “Fullness and emptiness, generation and destruction, are what distinguish God and the devil. Effectiveness is common to both. Effectiveness joins them. Effectiveness, therefore, stands above both, and is a God above God, since it unites fullness and emptiness through its effectuality. “This is a God you knew nothing about, because mankind forgot him. We call him by his name ABRAXAS He is even more indefinite than God and the devil. “To distinguish him from God, we call God HELlOS or sun. Abraxas is effect. Nothing stands opposed to him but the ineffective; hence his effective nature unfolds itself freely. The ineffective neither exists nor resists. Abraxas stands above the sun and above the devil. He is improbable probability, that which takes unreal effect. If the Pleroma had an essence, Abraxas would be its manifestation. The dead now raised a great tumult, for they were Christians. But when Philemon had ended his speech, one after another the dead also stepped back into the darkness once more and the noise of their outrage gradually died away in the distance. 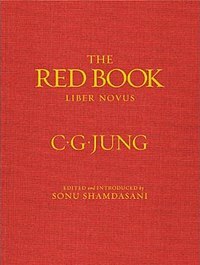 ~Carl Jung, The Red Book, Scrutinies, Pages 348-249. Previous Previous post: Images from Carl Jung’s "Psychology and Alchemy." Next Next post: Carl Jung: First of all, best thanks for your beautiful essay in Corona.